At St. Denis & Davey P.A., our skilled attorneys defend insurance companies, construction developers, contractors, retailers, dealerships, and other entities in a wide variety of matters throughout Florida. We are advocates for our clients throughout the litigation process, including in pre-suit resolution, mediation or arbitration, and trial. Founding partner Donald W. St. Denis is a board-certified Florida Bar Civil Trial Practice attorney who has been named as a “Super Lawyer” since 2008. With offices in Miami, Tampa, Jacksonville, and Panama City, our knowledgeable defense attorneys are committed to protecting our clients’ interests while focusing on the early and efficient settlement or dismissal of claims. We have a long history of successes at the summary judgment stage, as well as obtaining many denials of class action certification requests and dismissals of claims found to be frauds on the court. Mr. St. Denis also is rated "AV" by the Martindale Hubbell Law Directory, as is our firm. The "A" represents "legal ability", and is the highest score given, defined by Martindale as "very high to preeminent". The "V" score represents "adherence to professional standards of conduct and ethics, reliability, diligence and other criteria relevant to the discharge of professional responsibilities." It is also the highest score given. St. Denis & Davey has been accepted to the Bar Register of Preeminent Lawyers, which is exclusive to AV Rated firms. This is Lexis Nexis Martindale Hubbell's Highest Rating in Legal Ability and Ethical Standards. At St. Denis & Davey, we have earned the reputation statewide for our expertise in the handling of a wide variety of complex liability and litigation matters in federal, state, and local courts. We provide skilled legal counsel to a broad range of clients including insurance companies and their insureds, business owners and corporations, retailers, dealerships, and self-insured organizations. St. Denis & Davey is committed to meeting the needs of our clients and delivering exceptional litigation results in the most expedient and efficient manner possible. Our attorneys have extensive experience in defending all types of civil liability matters including automobile and motorized vehicle negligence, trucking and transportation liability, dealership defense, construction defect litigation, personal injury, catastrophic loss and wrongful death, medical malpractice defense, nursing home defense, premises liability defense, products liability, and other general liability and casualty matters. A large part of our practice concentrates on insurance defense litigation and serving the needs of insurance carriers and their insureds. Our litigation attorneys are experienced in handling first and third party matters and have years of experience with the legal issues that insurers and insureds regularly face. St. Denis & Davey works closely with our clients in the insurance industry to protect their interests and limit their liabilities in a wide array of matters including automotive liability, uninsured and underinsured (UM) claims, Personal Injury Protection (PIP) claims, insurance coverage, bad faith and extra-contractual liability, Civil Remedies Notices, and other insurance matters. In every case, we provide extensive analysis, evaluation, and innovative litigation strategies for our clients while continuously reporting and keeping our clients apprised of all developments in their case throughout the litigation process. St. Denis & Davey is committed to developing strong and lasting relationships with our clients and providing quality legal services and representation that meets each client’s individual needs. We also appreciate that in some cases, securing a swift settlement or other alternative dispute resolution is in the best interest of our client. Our attorneys always pursue the most expedient and cost effective avenue available to our clients and provide strategic advice and recommendations so that the client is able to make the best decision regarding their case. Our firm also provides seminars for approved adjuster credit on all types of litigation issues so that our clients always have the most up to date information on new laws and regulations, medical developments, expert standards, and any other industry changes that may affect how our clients resolve claims. Construction projects involve many different people and entities, including owners, architects, developers, insurers, engineers, general contractors, and subcontractors. The matters that arise for our clients are also wide-ranging, such as drafting contracts, handling building permits and zoning issues, obtaining licenses and certifications, and handling foreclosure actions. We can guide our clients through litigation related to alleged non-performance, non-payment, or other breaches of a contract. Our firm has a thorough understanding of the technical aspects of construction laws in the state of Florida, which is invaluable to clients in settlement negotiations or litigation. We have represented clients involved in the construction of roads, condominiums, single-family homes, and businesses, among other projects. In addition to assisting clients throughout Florida, we also have handled construction litigation in Georgia and Alabama. Dealerships and businesses may be faced with a plethora of potential claims, from automobile accidents to slip and falls to employment claims. In addition, consumers also bring claims alleging Truth in Lending Act (TILA) violations to product liability, lemon law, and Magnuson-Moss actions. Under TILA, for example, creditors must take care to make accurate disclosures to consumers, or they may face possible litigation. As a result, retailers or dealerships may be vulnerable to consumers who may allege that there are flaws within a disclosure notice, even if they are minute, inconsequential errors. They must also comply with what qualifies as permissible use of consumer credit reports under the Fair Credit Reporting Act (FCRA). Under this law, retailers and dealerships may be held liable for an employee’s mishandling of credit information and may be pursued for claims made in any advertisements or credit offers that were improperly portrayed in direct mailings. St. Denis & Davey P.A. also defends clients against allegations of unfair competition or business practices that are brought under Florida’s Deceptive and Unfair Trade Practices Act (FDUTPA). Under FDUTPA, individual or class action lawsuits may be pursued for acts or practices that “are likely to mislead” consumers. Businesses and other property owners often face claims of premises liability. These claims are based on owners’ legal duty to patrons to maintain reasonably safe conditions. (A duty may also be owed to trespassers in some cases.) One of the most common claims brought against a business is a slip and fall case. To succeed, a plaintiff must show that the owner did not exercise reasonable care in inspecting or maintaining the premises or failed to warn customers of the hazards that were present. Due to a change in the law in 2010, moreover, the plaintiff also needs to prove that the owner had knowledge of the dangerous condition. These cases may be defeated by showing that employees regularly inspect the property and eliminate hazardous conditions, as well as adequately warn visitors of these conditions. Another common claim is negligent or inadequate security, resulting from alleged failures to provide reasonably expected security systems or failures to repair features such as locks or windows. Our firm focuses on thorough, prompt investigation to craft a strong defense against premise liability claims on behalf of insurance companies, retailers, businesses, and property owners throughout Florida. Just because something went wrong during a medical procedure does not mean that a doctor or another health care provider acted incompetently. Our medical malpractice defense lawyers can assist hospitals, doctors, nurses, and other medical professionals and entities with fighting claims brought by dissatisfied patients. We can retain knowledgeable expert witnesses from our significant expert contacts to support your defense and expose weaknesses in the plaintiff’s expert testimony. When your professional reputation is at stake, it is important to enlist dedicated legal representation to protect your interests. Nursing home residents and their families sometimes sue facilities and staff who are devoted to caring for them, based on a perceived lapse in care. Our long term care defense attorneys can provide representation to nursing homes and assisted living facilities that are facing these lawsuits. As with medical professionals, they may face serious reputational harm from an adverse outcome. We will try to resolve the case as promptly as possible while pursuing the result that you need. Florida businesses and their shareholders often find themselves embroiled in complex commercial litigation. At St. Denis & Davey, we can assist you with contract disputes, shareholder litigation, and cases based on allegedly unfair and deceptive trade practices. If a shareholder feels that the management of a company is not acting in the company’s best interests, they may bring a derivative lawsuit to seek damages on the company’s behalf. However, in many cases, these claims prove to be unfounded or exaggerated. Our attorneys can guide you through each step of this potentially complicated process, using our thorough understanding of corporate governance and aggressive litigation tactics. Our firm represents businesses throughout Florida in many types of matters pertaining to labor and employment law. We can assist your company with defending a lawsuit brought under the National Labor Relations Act, and we can also provide representation before the National Labor Relations Board. Our attorneys are skilled in not only litigation but also matters related to arbitration and mediation. Additionally, we can help you respond to employee complaints, draft severance agreements, craft policies, and fight claims brought under theories such as discrimination, sexual harassment, retaliation, hostile work environment, or wage and hour violations. Many of these claims are brought under both federal and state laws. We understand the intersections of these laws and can represent you in both state and federal courts. The lawyers at St. Denis & Davey P.A. have experience serving entities in cities across Florida. Our defense lawyers focus on seeking the prompt resolution of claims, aiming for dismissal or settlement when it is beneficial for our clients. However, should it become necessary to litigate the claim, our defense lawyers have the expertise to provide a vigorous defense throughout the litigation process on behalf of our clients. 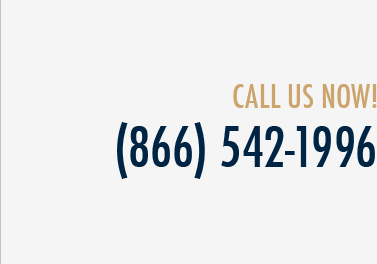 Feel free to call us at (800) 785-2153 or (800) 775-8571 or contact us online to schedule an appointment if you need a defense lawyer to assist you with a wide range of legal claims.